With both the official launch of Haswell and Computex just days away, the spew of new laptops, desktops, and GPUs has already begun. 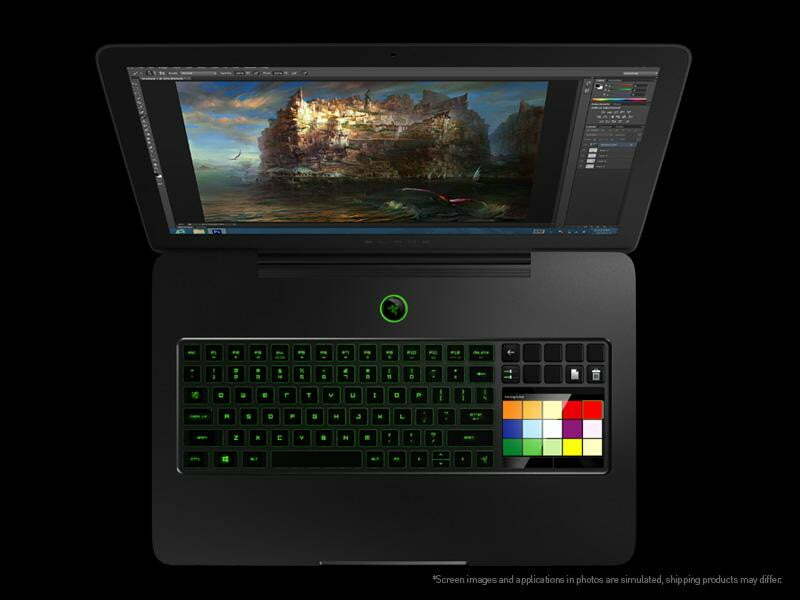 In addition to Nvidia’s news today about its new GTX 700M GPU series, Razer also announced two new Blade gaming laptops that will use both the new Nvidia mobile GPUs as well as Intel’s fourth-gen processor. 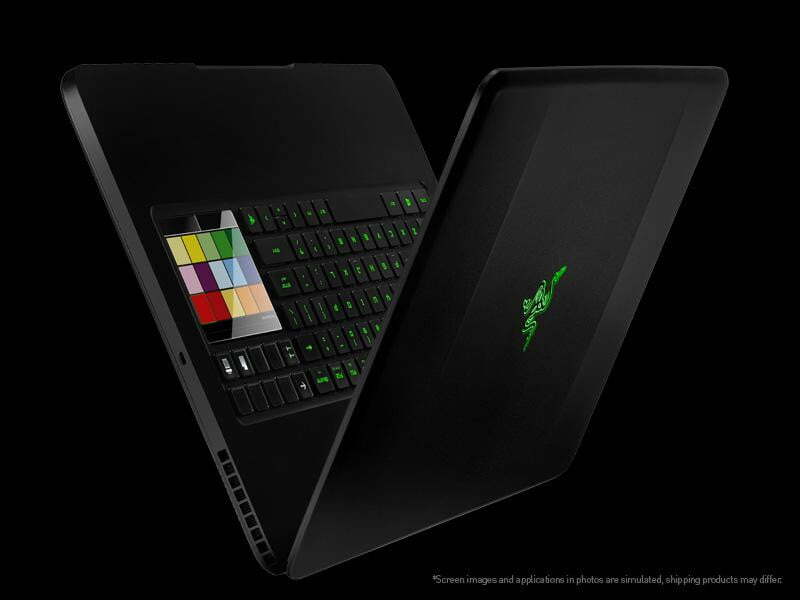 We first saw Razer’s Blade notebook back in August 2011. 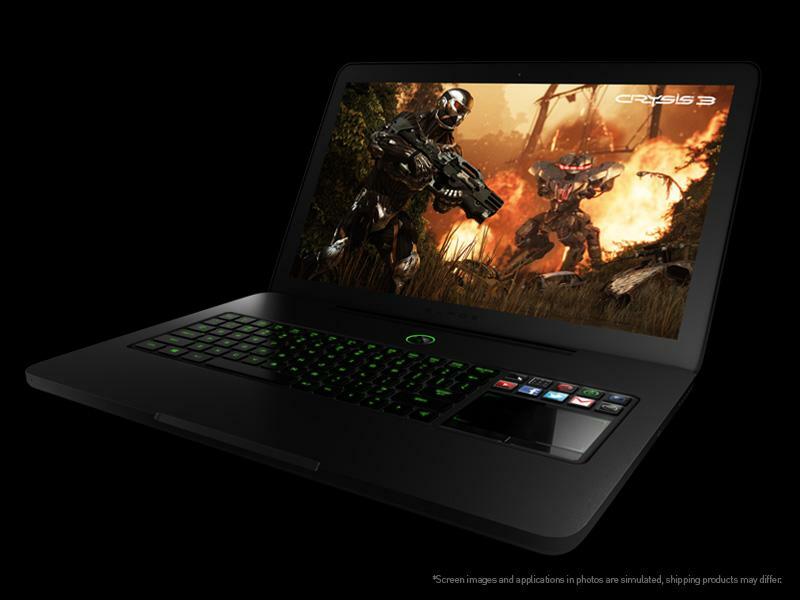 At that time, the Blade was only offered in the usual gamer’s 17.3-inch build, but today, the company announced that it’s launching a 14-inch model along with an updated 17-incher. We’ll get to the 17-inch Blade Pro in a bit, but let’s first talk about the 14-inch Blade. 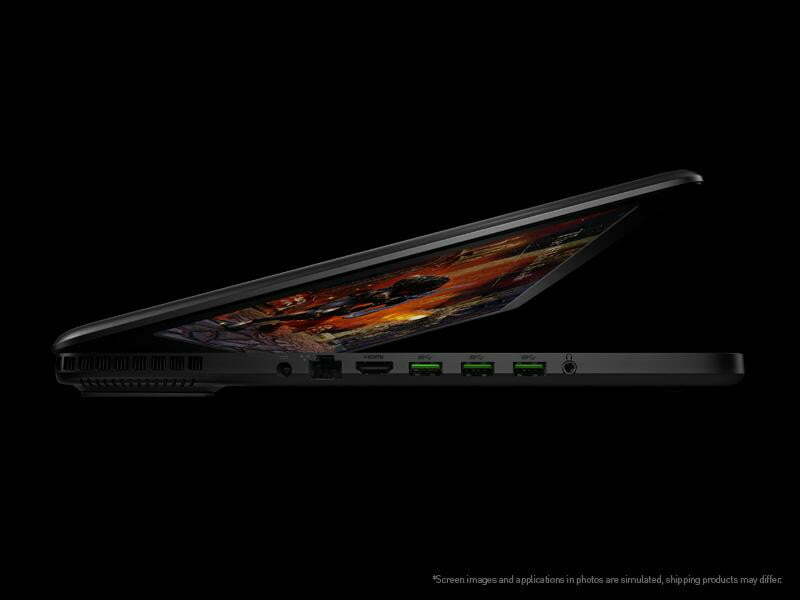 A small (and capable) gaming laptop is something we really need, and because Razer touts it as the “world’s thinnest gaming laptop.” At just 0.66-inches thin (yes, it’s 0.2 inches thinner than the 11-inch MacBook Air), Razer says it’s thinner than a dime and “packs more power-per-cubic-inch than any other laptop in the world.” Of course, it’s packing the new Haswell chip, Intel’s latest GeForce GTX 765M GPU, and uses solid-state drives with boot speeds up to four times faster than your traditional hard drive. It comes with 8GB of memory and 128GB of SSD storage, which is upgradeable to 256GB or 512GB. The Blade has a 14-inch 1600 x 900 LED-backlit HD+ display. Though it’s smaller than traditional gaming laptops, it still has a full-size backlit gaming keyboard with full anti-ghosting capabilities and programmable keys. Its “gaming grade” trackpad also has multi-touch gesture support. 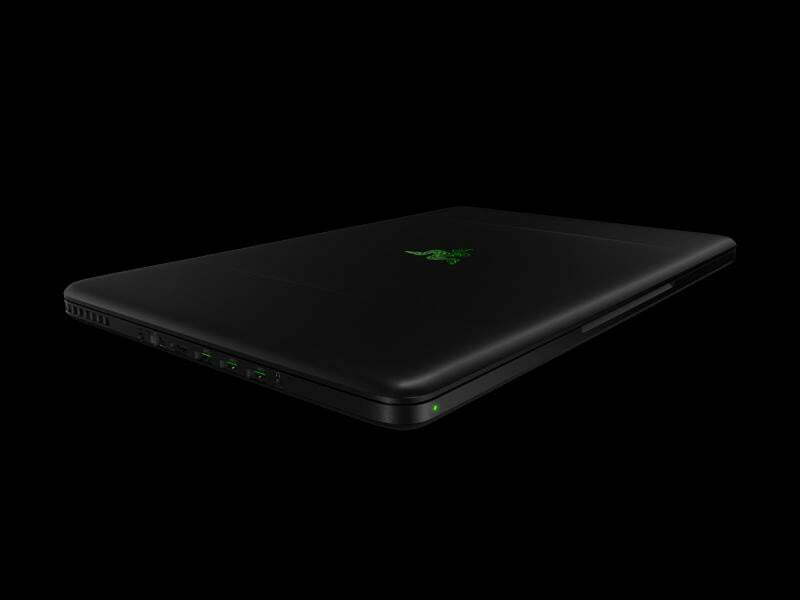 At just 4.1 pounds and with six hours of battery life – count on considerably less than that with heavy gaming – the Razer Blade will be a great travel companion for the road warrior gamer. The 17-incher, known as the Blade Pro, is very similar to the 14-inch model. It offers the same Haswell chip and Nvidia 765M GPU as its little brother, upgrading from the third-gen Ivy Bridge processor and GTX 660M GPU used in its previous iteration. The Pro also traded in its traditional hard drive for a 128GB solid-state drive, which, like the 14-inch model, can be configured to 256GB or 512GB. Battery life will also be better in the Pro, upgrading from a 60Wh cell to a 74Wh. No word yet on how many hours that’ll provide. Both the 14-inch Blade and the 17-inch Blade Pro will be available to pre-order June 3 starting at $1,800 and $2,300, respectively. We’re hoping to get hands on at Razer’s Blade event today in San Francisco, so stay tuned.